Executive Order 9066 was signed by President Franklin D. Roosevelt on Feb. 19, 1942, authorizing the internment of Japanese-Americans during World War II. In this edition of The Deeper Learning Podcast, we take a look at how this order connected the Mendez and Munemitsu families. 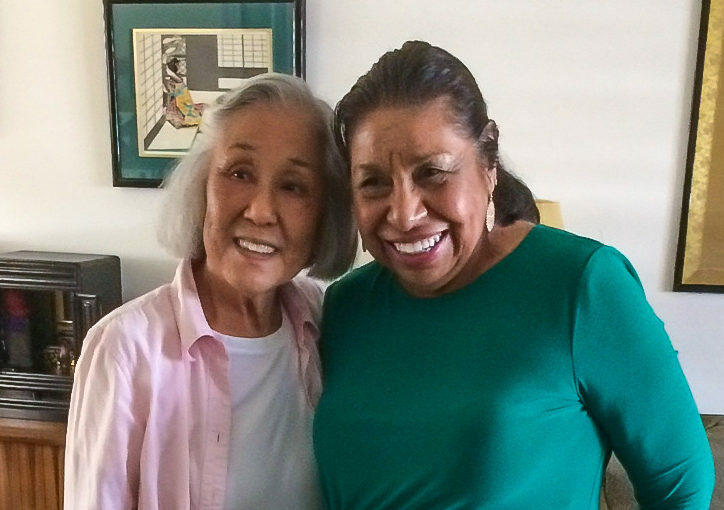 In our last episode, we learned how Sylvia Mendez and her family challenged school segregation in Orange County, Calif. Aki’s story serves as a prequel to the Mendez case, and it illustrates how the Munemitsu family — one of thousands to be relocated to internment camps during the war — persevered, rebuilt their lives and went on to make extraordinary contributions to American society through resilience, education and generosity. Produced by the Orange County Department of Education and hosted by Chief Academic Officer Jeff Hittenberger. Conkling, W. (2011). Sylvia and Aki. New York, NY: Yearling. Dempster, B. K., (Ed.). (2011). Making Home from War. Berkeley, CA: Heyday. George S., & Haider, C. F. (2009). Sowing Dreams, Cultivating Lives: Nikkei Farmers in Pre-World War II Orange County. Fullerton, California: Center for Oral and Public History, California State University, Fullerton. Ina, S. (1999). Children of the Camps. [Documentary]. (Available from Amazon Prime: https://www.amazon.com/Children-Camps-Howard-Ikemoto/dp/B00BYCWIQ2). Oppenheim, J. (2006). Dear Miss Breed: True Stories of the Japanese American Incarceration during World War II and a Librarian Who Made a Difference. New York, NY: Scholastic. Shigekawa, M. (Executive Producer). (2017). For the Sake of the Children. [Documentary]. (Information about availability and screening at http://www.forthesakeofchildren.org/). Urashima, M.F.A. (2014). Historic Wintersburg in Huntington Beach. Charleston, SC: The History Press. Wakatsuki Houston, J., & Houston, J.D. (1973). Farewell to Manzanar. New York, NY: Houghton-Mifflin. Wegland, M.N. (1996). Years of Infamy: The Untold Story of America’s Concentration Camps. Seattle: University of Washington Press. Densho.org, A website offering extraordinary resources of oral history and information regarding the internment experiences of Japanese-Americans. Japanese-American National Museum. This extraordinary museum in Los Angeles currently hosts an original copy of Executive Order 9066, with FDR’s signature. See http://www.janm.org/.